When Dame Fiona Kendrick discovered that poor leadership and management were major contributory factors to Britain’s low productivity, it is gave her real “food for thought”, the chairman of Nestlé UK & Ireland told an audience of employers and universities this week. Dame Fiona, who was previously Nestlé’s CEO in the UK and Ireland, was part of a government-sponsored working group that looked into the causes of low UK productivity following the 2007/08 financial crisis. The group found that, almost a decade after the crisis began, productivity in the UK was 20-30 percentage points lower than other G8 nations such as France or Germany. 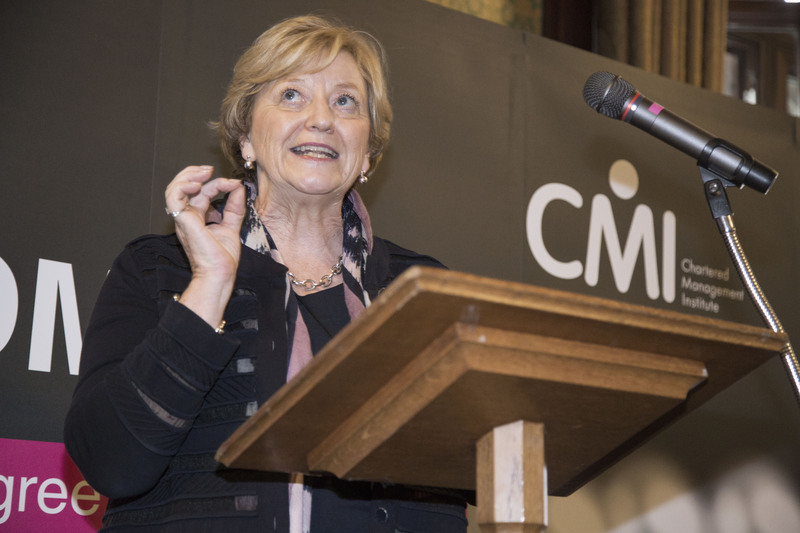 "That’s why we are working with the CMI to lead people through education and training for management positions on the global stage,” Dame Fiona said at the House of Commons this week as the CMI unveiled the Master’s degree apprenticeship, which was approved by the Institute for Apprenticeships in August. “We took the first step in 2014, and two years on we have the Masters’ degree,” said Petra Wilton, CMI director of strategy and external affairs. “Many universities are on board because they have realised the importance of apprenticeships.” Altogether there were between 50 and 60 universities and more than 100 employers engaged in the development process. Cranfield already has students and around 12 other universities are marketing the Master’s degree apprenticeship. Nestlé has offered apprenticeships on the production side of the business for many years but in recent years the multinational food and drinks business began introducing higher level apprenticeships in conjunction with Sheffield Hallam. The Chartered Manager Degree Apprenticeship’s three-year programme allows individuals to combine university studies with practical experience in a global business.